How to Remove Android System Applications Without Root, How to Uninstall Android System Applications with ADB? Removing Unnecessary System Applications on Samsung, LG, HTC, Huawei. Uninstalling Unremovable Applications on Android. 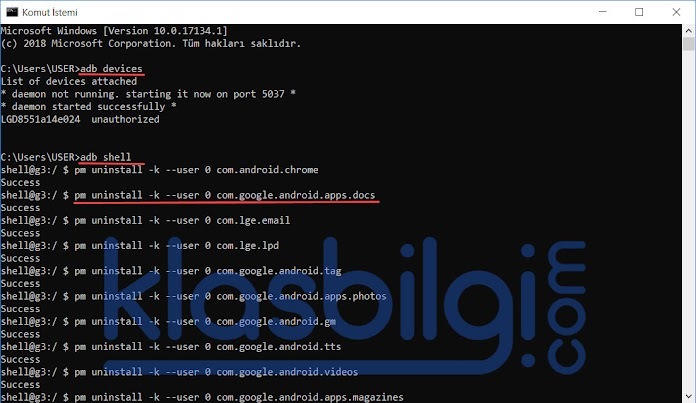 How to Uninstall Applications with ADB? When you buy your Android phone, there are some applications that are already installed. Generally these are system applications that you can not uninstall. For most of us, these applications are useless. Even though we do not use these applications, they are still there and consuming energy from battery. Most of these applications are default because the phone manufacturer companies get paid and force us to use these applications. Also, some of these applications serve as spies. For instance, we can not uninstall some of Google’s own applications such as Google+, Drive, Photographs, Hangouts even though we do not use them. Operating system allows us to disable some of these applications but we see that these applications still work on the background. So, we have prepared the guide ” How to Remove Android System Applications “. Thus, you will be able to remove the applications that you do not want in your phone. First of all, download ADB-Setup from the link given below and install. While installing, keep pressing “Y” and continue. In this way, you will finish the install. Firstly, you need to enable developer options to be able to use ADB feature on your phone. Then, go back to Developer Options and select USB Debugging and activate it. Connect your phone to computer via USB. Then, press Win+R buttons at the same time and write exe on the command window and press ENTER key. After that, right click on the black window and paste ADB Devices code given below and press ENTER key. 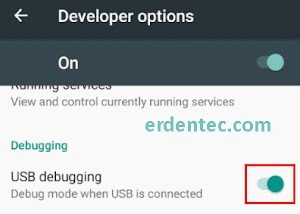 You will see a notification on your phone saying “Do you want to allow USB Debugging?”. Select “Always allow from this computer” and press “OKAY”. Now your device is connected on ADB mode. At this point, write Adb Shell command on CMD screen and press ENTER You will see “[email protected]:/” notification on the CMD screen. It is where you need package names of the applications you wish to remove. Package names are like this example: android.chrome. You need to use Link2sd application to find out package names. Download Link2sd application from Play Store. Start Link2SD Click on the Filter Icon and select System option. Now, find the applications that you want to uninstall in this list and click on them. You will see package names of applications starting with com. Let’s move on to uninstalling process. Now, add the package name of the application you wish to remove to the code given below and paste it to cmd screen by right clicking. For instance: pm uninstall –k ––use 0 com.google.android.talk and press ENTER If you see Success notification, then the application is successfully removed. In this way, you can uninstall any application that you wish to remove from your phone. You just need to find the package name of the application from Link2SD and add it to the code and paste to CMD screen. Important NOTE: Do not remove any application that you do not know. Otherwise, your phone may have some software errors. You can uninstall unnecessary applications from your phone. 2- Check package name and correct it.